One of the key elements of e-sports development is management of e-teams and e-sports organizations – from purchasing and training players to supporting their participation in competitions and distributing the prize money. Various issues concerning the business of professional video game players were the topic of our conversation with a well-known former StarCraft II player (known professionally as Bumblebee) who today is the E-Sports Director of the leading worldwide professional e-sports organization Team Liquid, Robin Nymann. – Robin, tell us how different is a career of an e-sports manager from a player’s career? The difference is significant – it’s basically a whole other type of work. Certain professional skills are required for both, but they are different skills. The level of stress is also different – however, both jobs can be very stressful at times. But a manager’s work means working with people. Here it is not so much you doing your best as much as you trying to encourage your team and your players to do their best. Although, a player’s experience also helps me as I already have an insider’s knowledge of the industry. – E-sports have been developing increasingly fast in the recent years. But when did it become possible to talk about e-sports as a business, to make money on e-sports – was it after the first official tournament? E-sports began in the 1990s when the first major tournaments were held, but it probably truly grew into a business only in the new century. However that depends on where you look… In South Korea, for instance, teams and players could earn nice profits at StarCraft tournaments as early as in the late 1990s. Korea really is an e-sports mecca. After that e-sports moved onward and upward and this fast development peaked in this decade – around 2012 or 2013, I think. Before that time it wasn’t really possible to live off solely e-sports. For most players it was only a part-time job, except the best of the best, and these were few. 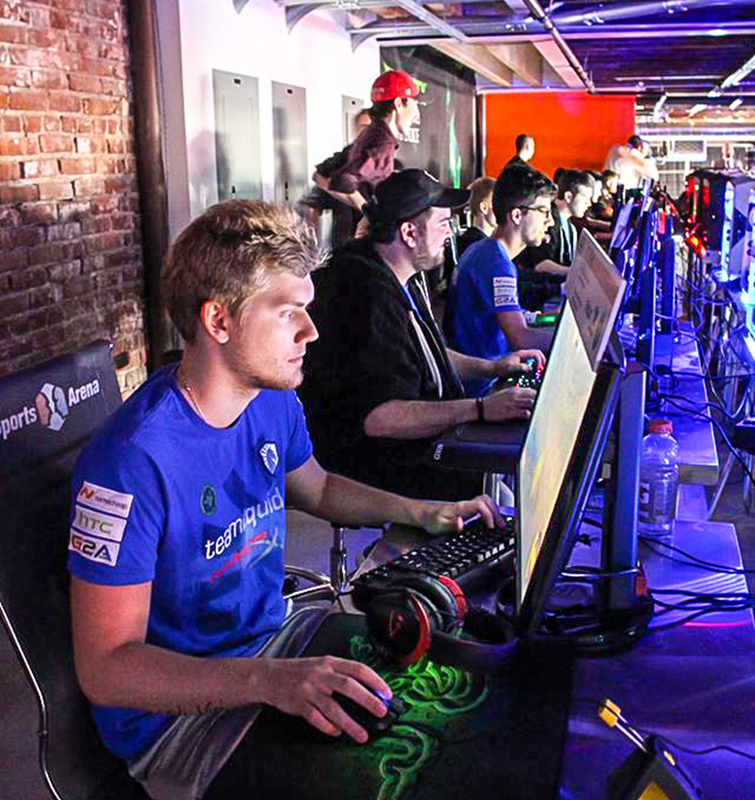 Now it has changed drastically, and most players can concentrate on their e-sports careers and make a lot of money. – What are the distinctive features of e-sports as an industry, and what can you say about your target demographic – video game fans? E-sports is definitely a very special industry; and the main reason for that, in my opinion, is that players here basically compete in what most people can try their hands at. All you need is a working PC with sufficient system resources and a copy of the game you wish to try playing. Besides, one can play video games at any time regardless of the season, weather or one’s state of health, and you can’t say the same about soccer or basketball, for instance. People play video games for pleasure and entertainment and thus learn everything about them, which is why it gives them pleasure to follow pro tournaments. 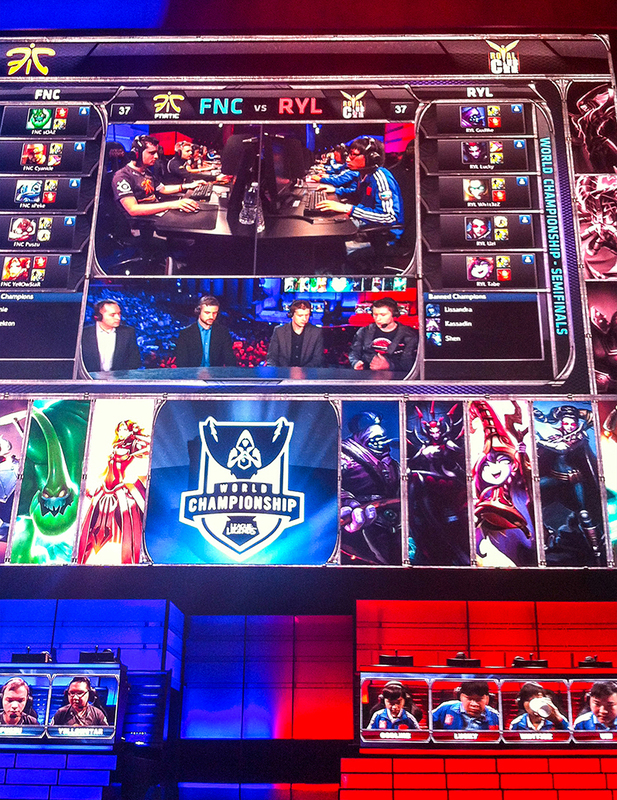 – To what extent are e-sports attractive to audiences? How many spectators come to see major events to stadiums, and how large are audiences of TV and Internet broadcasts of these tournaments, if such broadcasts exist? There are a lot of broadcasts and there are even whole TV channels that do live broadcasts of e-sports events, not to mention YouTube channels. Of course, the audiences of these broadcasts and live streams aren’t as large as soccer broadcasts audiences during the World Cup, but it’s still pretty large. That is why the streams pay off and even bring profits. Online streams of tournaments can get up to 2.5 million views! 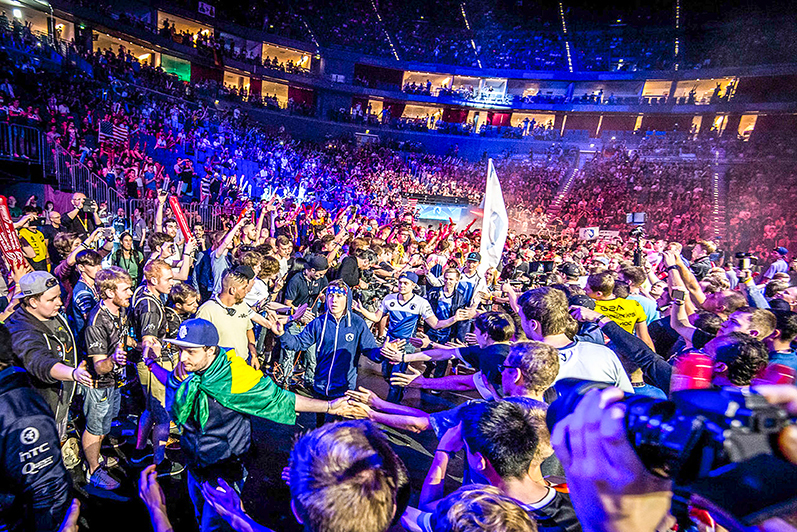 And e-sports events at venues often play to full house as well. 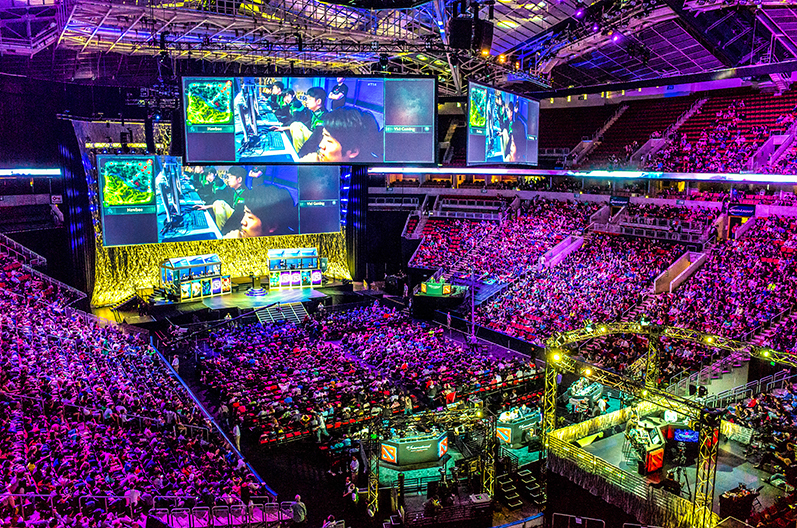 For instance, the finals of the League of Legends world championship in Staples Centre, LA, were all sold out. That means there were almost 20,000 spectators! And some tournaments gather up to 40,000. But the most important thing is that nowadays this interest to e-sports is only growing. – Who profits off of e-sports in general? Players, teams, game developers, streamers and broadcasters, hardware manufacturers, fan communities? I think everyone involved is having a worthwhile investment. Of course, there are people in the e-sports community who do that out of love for gaming rather than for money – to the point that they would re-invest most of their earned money into e-sports again, for the sake of its development. But in general the industry now has grown to the point that players, teams, streamers, game developers, tournament organizers all can get good returns on their investments. Probably the most financially viable option is to be a really good player. When you’re a high-class player not just your investments but your skills work in your favor. – Are sponsors the main source of investments into e-sports? Is that viable for them? I think it is, because this works the same way as in soccer or other sports. When kids see Lionel Messi wearing Nike shoes, they go and buy them because they want to be like him. It’s the same here – if a famous player uses a Razer mouse that ensures good sales for Razer, since fans rush to buy their mice. 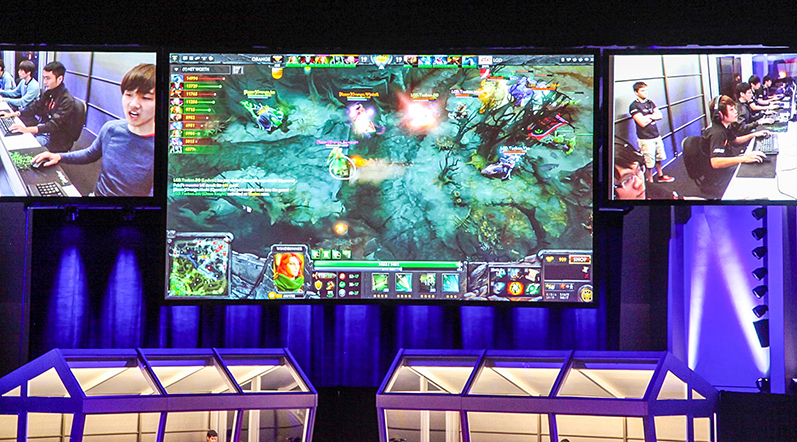 E-sports are entertainment, business and competition to determine the strongest – all at the same time. And everything here functions on the same principles as ordinary sports work on. I can’t tell you for sure who the first major sponsor was, but most probably it was some hardware manufacturer. Of course, for a sponsor it is most viable to invest into successful organizations, so that their customers associate them with top teams and players, especially if they produce PC hardware or gaming accessories. But besides sponsors there are also investors who simply buy a part of a company or a team, purchase a share in the business, which also brings good returns after some time. – Isn’t it more promising for a sponsor to invest into events as opposed to teams? Sponsors can invest in both. Everything depends on the sponsors themselves as well as the situation. Sometimes one is more profitable, sometimes the other. A lot of sponsors support both teams and tournaments. For instance, HTC has been our sponsor for a year now – they make phones with our logo, produce special videos, etc. At the same time they can invest money into certain tournaments, and then you can see their logo on banners during these events. But I repeat, the whole scheme here isn’t that different from the one in, say, soccer. – Are there any already functioning effective business models in e-sports, or does every team proceed by trial and error simply due to the fact that this business is still at an early stage of its development? I think it’s still largely trial and error. This business is still young, and even if it is a lot like any other sports business, it still has its own features, its own traps and pitfalls. There is no experience exchange as such, because the competition is high, and teams do not want to share secrets of their success with each other. So I don’t think there is a certain winning model here – you have certain teams and players winning today, but tomorrow you will have other ones becoming even more successful. And the success of the business here depends very much on the success of the teams. One more important thing: we interact with our fans much closer than soccer clubs do, for example. Fans are a key to success and popularity of players and teams, so we pay a lot of attention to interacting with them – we communicate with them on Twitter and Facebook, chat with them during streaming sessions, have meetings with them, etc. This factor definitely needs to be taken into consideration – e-sports can only be successful when it has an audience, when there are fans, and when the team listens to their opinions. – What is the budget structure of an e-sports team and what are the main expenses? The income is mostly sponsor money and advertising profits. Talking about expenses, it’s mostly salaries for players and purchasing new players. Most of the prize money from tournaments usually goes to players as well, the teams and organizations get very little of it (the same goes for us as well). Also, a certain share of expenses is for tournament participation fees, selection and training players, purchasing gaming hardware and other expenses. – How is Team Liquid structured? Was it difficult to build all that, and how does it all work? 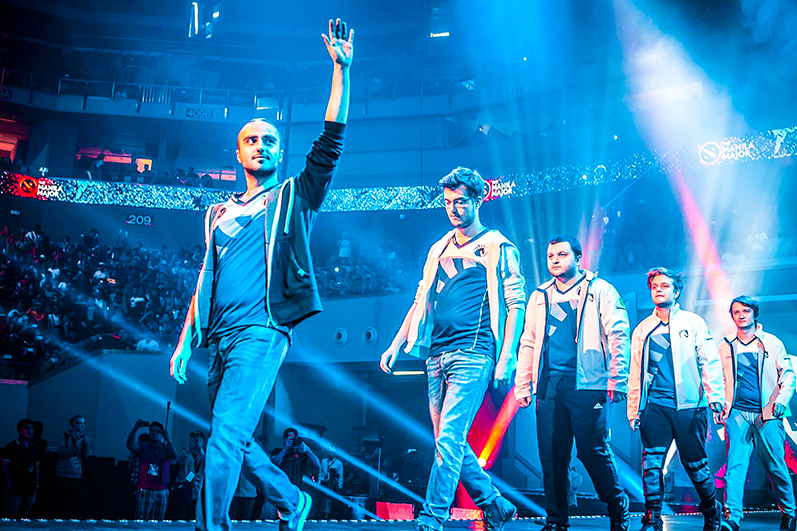 I have to say I cannot speak for Team Liquid as a whole since I’m only in charge of e-sports. But in general – yes, it’s a large complex organization, basically a full-fledged commercial company with many different departments responsible for various fields of work. However, at the core of it are e-sports and advertising – such as our media sites like Liquipedia which a whole department is responsible for. We also have our own accountants, managerial staff, a department for working with sponsors and investors, agents, managers for marketing, coaches, analysts and a lot of other professionals. We even have our own chef who prepares food for players! Some organizations even have their own doctors (as players also get injuries sometimes, especially hands and neck injuries). So e-sports is a vast field where anyone can find a place even if they have never played video games. – How does e-sports infrastructure work? Are there any unifying organizations like FIFA and UEFA in soccer, are there stadiums or venues used exclusively for e-sports or are they rented only when a tournament is on? How are events normally handled? There are no exclusive stadiums or venues used only for e-sports, not yet at least. Tournaments are usually held in convention centers or sporting arenas. We also don’t yet have any organizations that would unite e-sports teams around the world or at least only in Europe, that’s why we directly cooperate with tournament organizers, we already have established contacts with all the main championship organizers and all major leagues. We also already know in advance when and where all the main events are going to happen. Of course, there is an issue with tournament rules, which are different for every league or championship. So this is why I think this is a great idea, and in a few years e-sports will probably have its own “FIFA”. We could certainly benefit from a certain association that would regulate the rules of championships and the relations between all the main participants of this business, and I believe it may happen soon. We could probably say that the first step in that direction is WESA, the World E-Sports Association which has been founded this year. But so far it only unites a few select teams and not e-sports as a whole. – How do e-sports interact with game developers? If I understand correctly, at first e-sports players only comprised a small amount of the total number of video game subscribers, but now they play the first fiddle, and the game developers take cues from them. What happens is basically this: professional players can actually reveal the potential of new games (as they are able to use the maximum of what a game can offer), and at the same time they serve as game advertisers. So of course we do interact with game developers – this is beneficial for us and especially for them. A lot of professional players become beta-testers for new games or new modifications of existing ones. This may become yet another source of income for players, or it may turn into a new professional field after a player’s career is over. Another reason for developers deferring to players’ opinions is that many players are popular and influential with video game fans – they blog, they post game reviews, etc. – Imagine a twelve year old kid who spends a lot of time playing video games and takes a lot of thrashing for that from his parents, because they think he or she should spend more time on his maths or biology or chemistry or whatever else. That is, they think video games are a useless waste of time, while doing schoolwork is important and will get you a promising career. So what would you recommend in this situation as an e-sports professional? Well, let’s start with saying that I don’t approve of twelve year old kids abandoning school or neglecting their homework because of video games. I think that you can never know what you may need in your future, so kids in such an age should do their maths and their biology. Video games are fine, but it’s no use to get stuck on them. But at the same time I’d tell the parents of this kid that video games are not useless, that is a common misconception! Firstly, games offer a certain challenge and certain prospects, which we have just discussed in details. But also video games develop one’s ability to make fast decisions, to act in an active and timely manner, to evaluate the current situation in a matter of seconds and to use it to your benefit. It’s also a common misbelief that video games are anti-social, that gamers can’t communicate with people because they just spend the whole day in front of their computers or consoles and never go out. This is not so! The most popular games now are online multiplayer games, and these develop a number of communication skills and teamwork skills – just the same way as traditional team sports do. This is why such parents need not worry about their kids, but instead they should direct them and help them reach their goals, whatever these goals are. But I repeat, one should not only concentrate on games – even the best and most successful of our players today aspire to get good education, take a foray into other fields, diversify. – How are e-sports going to develop within the next few years and how do you see their future? E-sports have been developing so fast in the recent years, that now we need to properly insert and utilize all the tools we have acquired. It’s also time for the investors to begin getting returns on their assets. So I think that the next few years will probably see a relative slow down compared to the previous years in terms of finance. But the development will continue anyway, it will just become smoother and slower. I am not taking any bets here but most probably e-sports will now develop in breadth rather than in height – maybe some professional regulatory organizations will appear, the number of games will increase. And on my part I hope to live till the time when e-sports become not any less popular than traditional sports.